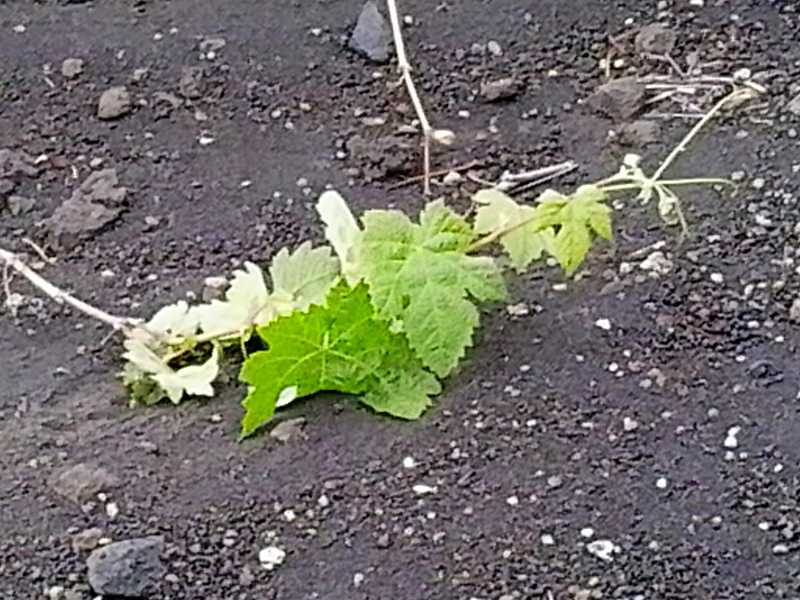 New vine leaves growing along the ground. Spring is here, and the vines are sprouting all over the island. 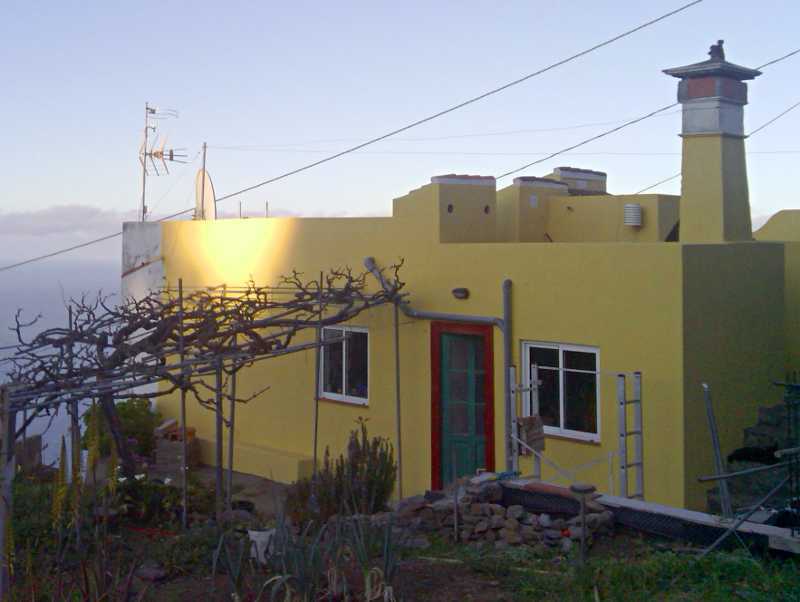 In the south of the island, particularly in Fuencaliente, it’s dry. In a hot summer day, the wind sometmies feels almost like a hairdryer. This could turn the grapes to raisins before you harvest them, so the vines are trained low to the ground to keep them out of the wind. They’re usually planeted in hollows, or surrounded by drystone walls higher than the vines. 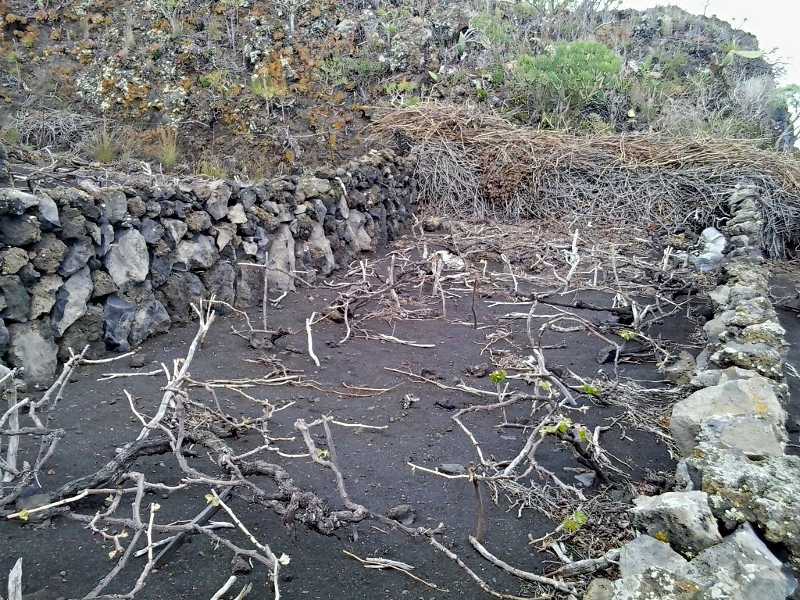 There’s little chance of the grapes drying out in the north of the island. People are more worried about mold, so the vines are trained much higher. In fact many people grow them over the patio. That way they get sun on the patio in winter, and it’s shady in summer. Towards the end of the summer you can even reach up and help yourself to a bunch.